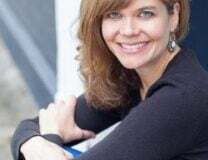 “Everything I Know About Health in a One-Hour Podast” is my last show on the Voice America network! 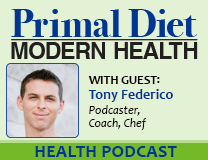 Stay with me for much more on the paleo diet and health benefits I talk about each show. I will be podcasting from my own website network before Thanksgiving 2012, so you’ll need to go to iTunes or to my website and RESUBSCRIBE to the show to get it. Don’t miss my one year plan for changing your life forever. 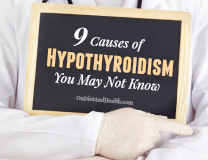 I’ll lay out a to-do list that starts with FOOD FIRST (of course), but includes infection, sleep, hormones, auto-immune, dental health, toxins and more. I’ve been in naturopathic practice as a Nutritionist in San Antonio for 25 years, so I’ve got a lot to say! For the 50,000 listeners I will be losing on my current network, please also take a moment to subscribe to my newsletter to stay in touch. If you have no gallbladder, your bile constantly drips into the intestine, instead of being released during a meal. Solution? Eat more frequently to use this precious bile. Try 4 meals a day. The oat germ oil in his blend is Gluten Free, as is any Wheat Germ oil. Any refined oil will not have the gluten protein remaining. Probiotics help your gut make Vitamin K, essential for the correct transport and utilization of calcium. If you’re low on K, calcium can deposit in your eyes (cataracts), arteries (atherosclerosis), joints (arthritis/bone spurs) or make stones in the gall bladder or kidneys. I sell an excellent Vitamin D supplement which combines vitamins A, D, and K which all work together in the body. Find it here. Take Probiotics at the end of a meal, when stomach acid is already absorbed by food and will not affect the flora. Omega 6 deficiencies are fairly common in those eating a super-clean Paleo Diet. We may get plenty of Omega 3’s from fish and flax, but we need the balance of other oils in his Flax Blend to provide the correct ratio. There’s more on the show itself. Listen here. 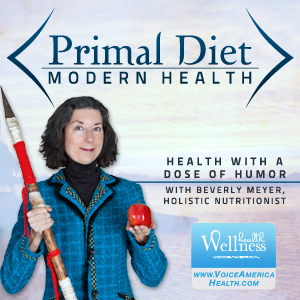 Primal Diet – Modern Health has been a spectacular journey, with 35 LIVE one-hour shows, and amazing guests such as Sarah Fragoso, Whole 9’s Melissa Hartwig, Dianne Sanfilippo, Dr. Kaayla Daniel and Sandrine Hahn from WAPF, Juli from PaleOMG, Dr. Davis of Wheat Belly and many more. The show has brought tens of thousands of listeners and many supportive emails. You can listen to all shows from my website, and hopefully I can keep them on iTunes once I go (not sure about that yet). Tune in LIVE at 11 AM CST this Wednesday, or listen to the farewell show after Thursday on iTunes or from this link or from my website. Enjoy! And please feel free to comment or dialog with others in the comment section. I’d like to start using that now, so get your name and ideas in print!